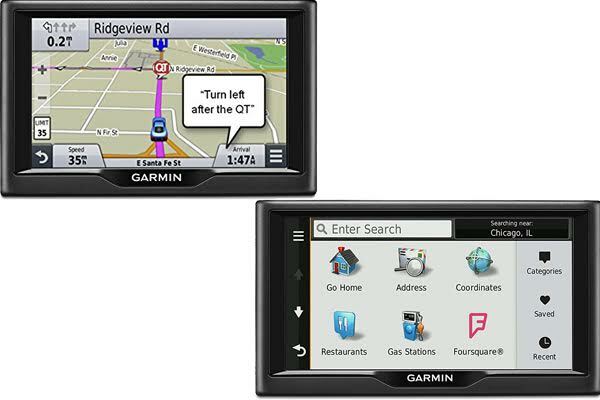 Garmin is a big name in the field of GPS navigation tools in particular. Not wrong it feels to choose this product to accompany your journey. Garmin excelled in speed the process of locking the satellites and the time have to recalculate the route we choose. While the free navigation application-based smartphones excels in the update traffic conditions or point of interest. However, there are two kinds of Garmin products are often cited i.e. a Gramin Nuvi 58LM and 57LM. What exactly is the difference between 57LM and 58LM series? This article will explain it all. The features offered by Garmin Nuvi 57LM GPS Navigator is easy to use with a special display of double orientation/5.0 inch, Foursquare to find new restaurants, shops and popular, and other places. Do not rely on cell signal and not affected zones beyond the reach of cellular. Made with detailed maps and coupled with a lifetime. Garmin Nuvi 57LM makes it easy for you to find the address or the latest points of interest around you. Navigation devices also makes it easy to turn on a crossroads that is right with the help of colored lines that are attractive. And that is no less sophisticated is also has the search field that makes it easy to find addresses and millions of POIS, in one place. Now, simply enter the category of food like Pizza, complete address for example street of Sudirman, capital city Jakarta, Indonesia or a proper name like Starbucks then the nüvi 57LM will display the results quickly. Garmin Nuvi 58LM is provided by a GPS with premium materials with 5 inch display and 6,4 ounce. The battery can last until 2 hours. Nuvi 58LM has more superior POI database by inviting Foursquare as the partner of finding the best places. And it has more relevant and accurate descriptions than other device. Also, you will be accompanied by lifetime map updates without ever paying a subscription fee. Adding Garmin Real Directions feature to add more clarity and Car GPS navigators to know how to be specific enough to voice out the street name but not all drivers may know where the street is. By using nuvi 58LM your task about finding more precise location within a point of interest will be easier. And with the direct access which is the new features in handling that part and works very well. One more sophisticated thing, there is a great 3D map view interface with a unique sidebar called Up Ahead. When you have common locations like school zones, the device will know it directly. As we know from the written name, between Garmin nuvi 57LM and 58LM are aparted only by one point. But basically they are the same devices with identical hardware specifications and features. We can even say that they are twin, but still, some upcoming features have been added in 58LM as the new one product from the current 57LM. If you already have the 57LM, you do not need to change it because all features in 57LM are more than just enough for a navigator.